Your first Invisalign dentist visit is designed to get an understanding of how Invisalign® works, answer any questions you may have, and ensure that you are a good candidate for the straightening process. Very few patients are not eligible for Invisalign® treatments. These rare cases are based on the fact that they have an underlying condition that would prevent the Invisalign® from performing appropriately or because these conditions could complicate the process. More often than not, however, you will be approved and found to be an excellent candidate. 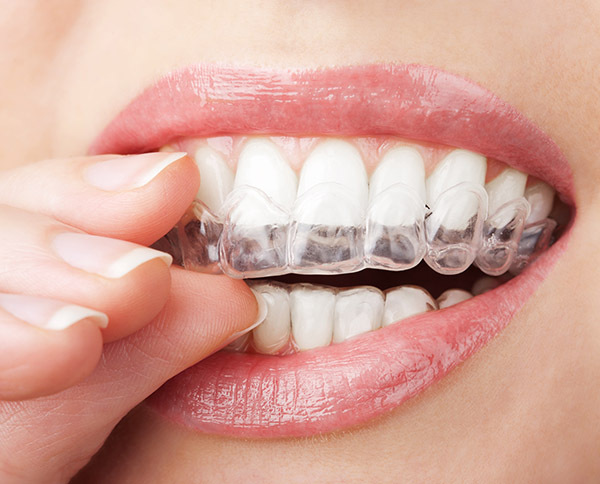 Invisalign® is an innovative new technology, which produces tremendous results in people who follow the program. It is important to note, that Invisalign® does not work on, nor is it designed for children. The movement of teeth and the tray principle is designed to be effective with adults and teenagers who have already gotten their entire set of mature teeth. Once you have made it through the formality of the first consultation, we will start the process of fitting you with your own custom aligner trays. Working with Invisalign®, we still maintain complete control over the process, and together with you, will come up with a plan for how to realign your teeth. The first step is to get a good number of measurements, photographs, and x-rays on which to base this plan. We will be making a dental impression of the teeth in their current state as well. We then forwards all of this information to the technicians, who work in the laboratory, at Invisalign®. There, the technicians will use the data, and most importantly the dental impression, to create a 3D model of your mouth on their computer. Once the technicians at the laboratory receive the dental impressions, they will generate a 3D model of your teeth on the computer. To make sure that everything is precise, they will double check all the measurements against the ones that we took during your visit with us. Once everything is in order, the technicians will feed your model into their simulator, which generates a visual representation of the teeth being moved and sets a timeline. This timeline is used to generate the next set of aligners, and is based on the specific goals set by us, as an Invisalign dentist. We have complete access to the modeling, as do you, and will be making changes and tweaking the plan so that it is perfectly aligned with what we discussed at our offices. Once the plan is finalized, the lab has the go ahead to fabricate the retainers and send them out to you, or us depending on the plan. The entire aligner tray system works based on the principle of applied pressure. Fundamentally you will be provided with a tray that is offset from your teeth. Typically this is about 1/10th of a millimeter and is designed to put pressure on the tooth to move that 1/10thmm. Traditional braces use this same approach. Once the tooth moves, we will replace the tray with a new aligner that is a further 1/10 mm in the direction we want the teeth to move. During the process, as an Invisalign dentist, we will continue to monitor your teeth to ensure that they are moving properly.